Every would-be homebuyer has heard it: always check the annual percentage rate, commonly referred to as APR, when shopping for your mortgage loan. Many claim it to be the premier indicator of the quality of your mortgage deal. The truth is that the annual percentage rate actually can be a very good indicator of the cost of your new mortgage. It can also lead you quickly astray if you don’t have an understanding of how to correctly use it as a comparison tool. 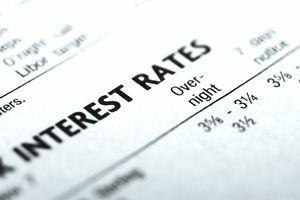 Many confuse APR and interest rate which is one of the biggest mistakes you can make. Interest rate and APR are very different animals. Others fail to consider the mortgage product being used, the down payment being applied and other factors that all assist in making up an annual percentage rate calculation. So what exactly is APR and should you place heavy emphasis on the number as you make your mortgage loan decision? Yes and no. Like an interest rate, the APR is expressed as a percentage. The Federal Truth in Lending Act requires that every consumer loan agreement disclose the APR. All lenders must follow the same rules to ensure the accuracy of the APR. That said, being required to do something and doing it are not always the same thing. Annual percentage rate is a notoriously tricky number to calculate. If you are curious just how complex the calculation for the annual percentage rate can be, then just check out the FDIC website. In general, the annual percentage rate (APR) you see on your mortgage loan disclosures is calculated by including mortgage lender fees and other items that will affect your monthly payment - like private mortgage insurance or PMI. It does not consider monthly escrow payments to homeowners insurance or property taxes. The APR must be disclosed to the borrower within 3 days of applying for a mortgage. This information is typically mailed to the borrower and the APR is found on the truth in lending disclosure statement, which also includes an amortization schedule. Regulations set forth by the Consumer Financial Protection Bureau (CFPB) have placed some new emphasis on making APR calculations more easily understood and more accurate. APR must be disclosed within three days after the borrower's application has been received. APR can change by as much as 1/8 of one percent before settlement without requiring disclosure by the lender. APR is considered accurate if it is not more than 1/8 of one percent above or below the rate that would be calculated in accordance with the official method. That does not ensure APR accuracy all the time, though. Unscrupulous lenders are, for the most part, gone from the industry, but human error is always a factor to consider. Loan officers are overworked and technology sometimes fails too. Either could result in an APR discrepancy. Those are three distinct buckets and the one most oft misquoted is private mortgage insurance. The second most confusing aspect of mortgage APR calculations are the lender origination fees. These include 3rd party fees for credit reports and other loan specific inquiries, but also the cost of underwriting, processing and other junk fees both large and small. If you are putting less than 20% down you’ll likely have PMI. Since PMI is risk-based on conventional Fannie Mae & Freddie Mac mortgages it will vary from customer to customer and property to property. FHA loans are more straight-forward. They offer a flat rate for mortgage insurance on the majority of their loans. The rate is higher than conventional PMI usually and can bloat your APR significantly. When considering a new mortgage APR should be only one of a number of factors that you weigh. Clearly, the affordability of your monthly mortgage payment is first on the list. But strong consideration to the right loan term & mortgage type for your situation is also major players. If you are hoping to minimize your down payment then you can expect to have a higher annual percentage rate. The amount you put down affects your risk to the lender and therefore your mortgage insurance will be higher. Higher mortgage insurance premiums equate to higher annual percentage rate nearly every time. All in all, APR can be an excellent tool to shop mortgage lenders if you ensure that you always compare apples to apples. What Is an Acceptable Loan to Value (LTV) Ratio in Commercial Lending? What Types of Loans Are Regulated by RESPA? Should You Pay Discount Points to Buy Down A Mortgage Rate? Zoning and Land Use Codes—Are They Necessary?